Country music duo The Bellamy Brothers have been making dozens of hits since the ‘70s. Catch them at Southern Junction with Keith Mitchell. With a debut album that came out just last year, 19-year-old Christian Nodal is at the top of the Spanish-language charts. The artist brings his De Tu Mano Tour, backed by a mariachi band, to The Pavilion at Toyota Music Factory. Poison with Cheap Trick and Pop Evil at The Pavilion at Toyota Music Factory prove that hair metal hits have staying power. The Nothin’ But a Good Time Tour is sure to live up to its name. Rock and roll from the ‘80s is alive and well with Scant playing Bar Louie. The energetic performance goes till midnight for a party don’t want to miss. Grammy-award winner Ray LaMontagne and the inimitable Neko Case play The Pavilion at Toyota Music Factory in a lawn concert bundle event that also includes Counting Crows and Dispatch. You know summer in Irving is officially here when it’s time for Canal Fest. The annual celebration of the city’s diversity will take place at the Las Colinas Urban Center, along the shores of Lake Carolyn, and will feature food, art, vendors, and three stages. Musical elements will include everything from Polynesian drummers and African percussion to Bavarian folk and traditional Philippine music. Catch R&B singer Leon Bridges at The Pavilion at Toyota Music Factory. With a voice reminiscent of Motown greats, the Fort Worth native is a Grammy-nominated artist and his songs have a touch of nostalgic soul with a thoroughly modern update. Join Styx/Joan Jett & The Blackhearts with Special Guests Tesla at The Pavilion at Toyota Music Factory for an amazing lineup of classic rock from acts spanning the decades and sub-genres. 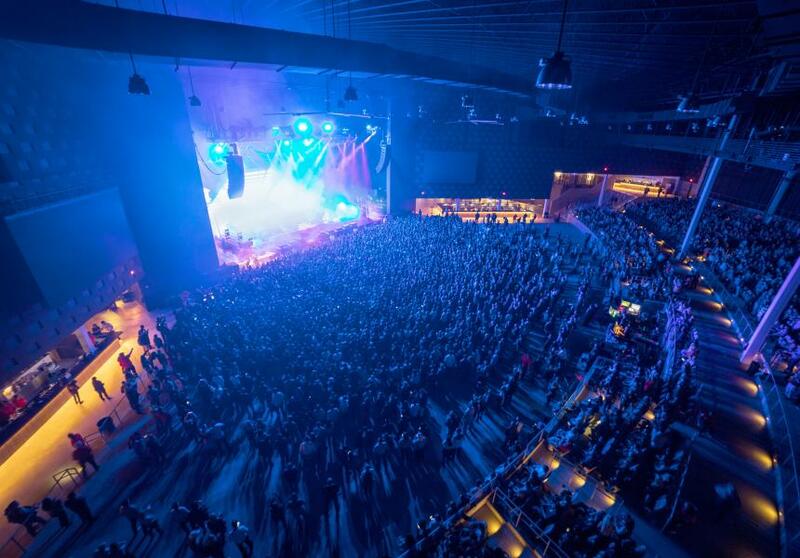 Rap acts of the moment Post Malone with 21 Savage and SOB x RBE take the stage of The Pavilion at Toyota Music Factory for a must-see show for hip-hop fans. Texas-raised Post Malone will showcase the hits he’s amassed in just a few short years. Argentinean trio Los Enanitos Verdes, and Spanish band Hombres G, bring their Huevos Revueltos Tour to The Pavilion at Toyota Music Factory. Spanish rock lovers will recognize the rock and pop songs the two acts have been making since the ‘80s. The Selkie Girls perform a Concert on the Lawn at Hackberry Creek Church as a fundraiser for Many Helping Hands while also raising awareness of homelessness in Irving. Admission is free to this Celtic music performance, but do bring your own lawn chair. Experience one of the major forms of North Indian classical dance with the Concert of the Legend, Kathak Rhythms at the Irving Arts Center. The evening will be led by Pandit Birju Maharaj, a master of the art form who has been performing since he was a child, accompanied by live music including a tabla, sitar, and vocalist. The DFW area’s very own Southern Chrome play throughout the last weekend in June at Southern Junction. Grab your partner and get ready to dance to their Texas country music. First Sting - Music of the Scorpions will put on a free, 18-and-up show at Southern Junction. From stadium anthems to power ballads, the lively cover band presents all the legendary hits in authentic fashion. Experience a blast from the past at Southern Junction’s Throwback Thursday featuring a different tribute band every week at 10 p.m. Covers of Ozzy Osbourne and The Scorpions are on tap for June.